Which London Borough Has The Most Museums? M@ Which London Borough Has The Most Museums? Wikipedia, for all its sins and virtues, does curate some interesting lists. One of the most helpful compiles the museums of London (as well as not-for-profit galleries) into one alphabetised page. Here they are, all 278 of them. We decided to use the list to work out which boroughs are most- and least-blessed with museums and galleries. 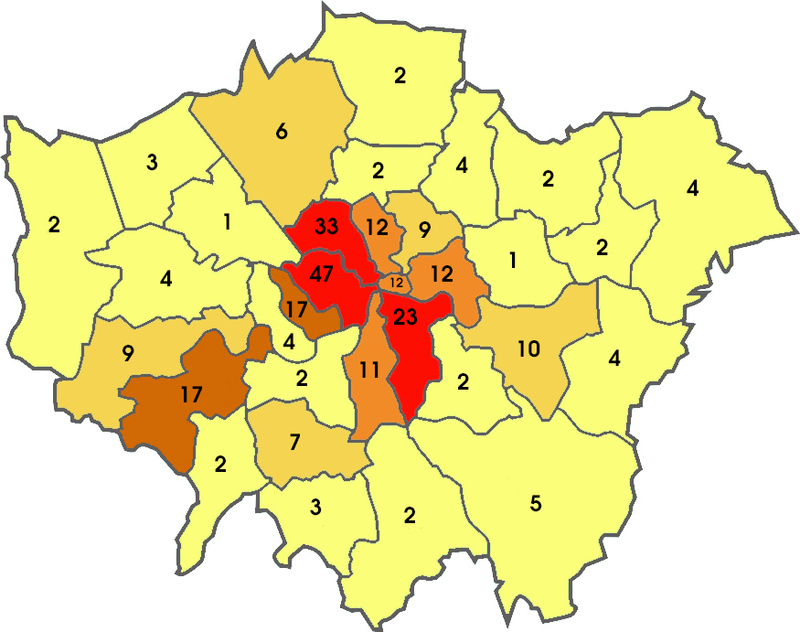 The map above is colour-coded so that the culturally lacking boroughs (five or fewer museums) are yellow, while the powerhouses (21 or more) are in red. Its a somewhat arbitrary colour scheme, but the numbers make things clear. What can we conclude? As you might expect, Westminster and Camden score highly, each taking in large areas of central, touristy London as well as containing many outliers like the Fleming Museum and Freud Museum. Southwark, too, is well loaded, with 23 museums. Most, like the Clink and HMS Belfast, are close to the river. 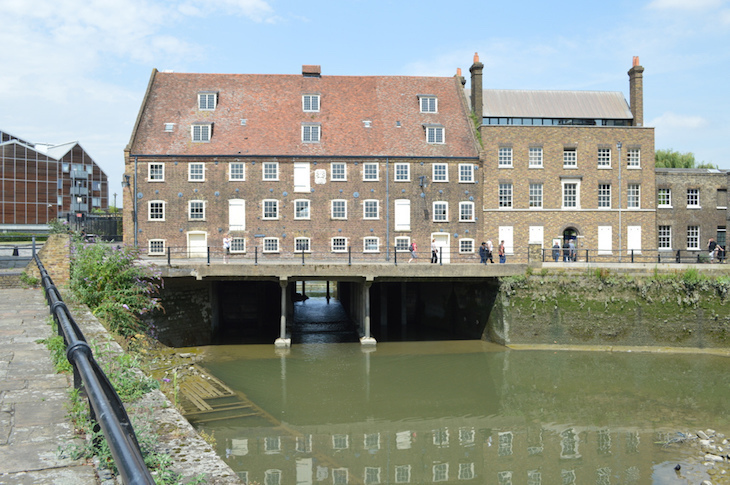 The borough with the least museums is Newham, which can muster only the House Mill near Bromley-by-Bow station (below). This should change soon, as organisations like the V&A and Smithsonian plot a presence within the Olympic Park. The outer boroughs quite naturally tend to house fewer museums. These are largely residential areas, with much smaller tourist footfalls. Nevertheless, some of the outer boroughs do punch above their weight. Richmond-upon-Thames can claim 17 museums, putting it on par with Kensington & Chelsea, home of the South Kensington mega-museums. Richmond's haul includes such gems as Hampton Court Palace and Strawberry Hill. Hounslow is perhaps the biggest surprise for those not familiar with the borough's treasures. 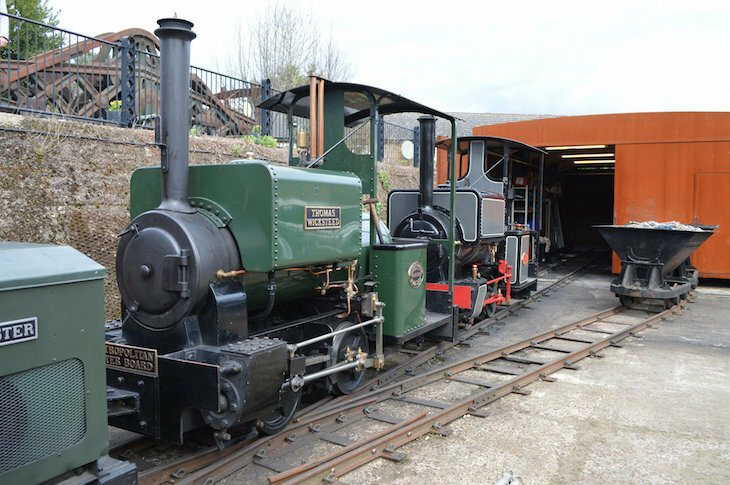 Its nine museums and galleries include the London Museum of Water and Steam (below), Boston Manor House and Chiswick House. Which raises a question that you've probably already anticipated. What counts as a museum? The Wikipedia list that we've used includes numerous venues that we'd more naturally classify as stately homes or historic houses. Should they be there? Should we also exclude the galleries from the list? Where does one draw the line? We suspect there's no easy definition of 'museum', and the Wikipedia list is as good as anyone else's attempt. Here again is the tally in list form, should you prefer text. To see which museums can be found in each borough, visit the Wikipedia list and sort by borough.